It’s great to be the boss. As an entrepreneur, you’ve set out on a path of your own making, but there inevitably comes a point when the countless choices you have to make along the way become burdensome. If you don’t figure out how to deal with this, you start making bad decisions. Bad decisions can sink everything you’ve worked so hard on. 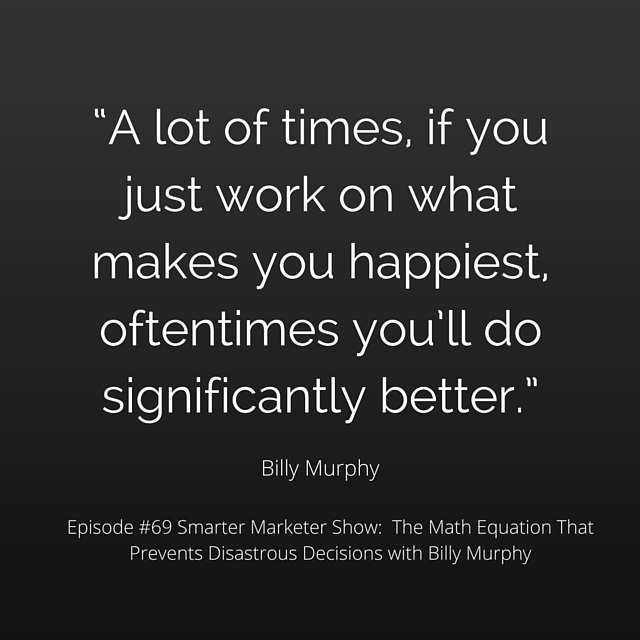 Billy Murphy knows the weight of this, so he’s developed an amazing equation he uses to help him make calculated, emotion-free decisions no matter what he’s challenged with. It makes sense that he’d be the one to come up with this: although he’s a mega-successful online entrepreneur with multiple winning sites, he was once a professional poker player! The man clearly knows something about making winning decisions, so let him teach you a thing or two today.